The rat is a natural forager; finding its food wherever and whenever it can. Historically, we have fed our small, caged animals out of food dishes, but only by scatter feeding rats, can we allow them to mimic this natural foraging behaviour. Being a true omnivore and opportunistic by nature, means that despite their neophobic tendencies (reluctance to try new things) – rats will eat almost anything. A large part of a wild rat’s ‘day’ is given over to seeking, finding, stashing and eating a myriad of different food-items, from roots and leaves, to insects and even faeces. Rats will get their nutrition where they can, but it is well documented that they can often go to great lengths to get their hands on something special. Rats will steal eggs from nests, dive for molluscs, raid stables for stored grain and scavenge for food waste in the rubbish left lying around our city streets. The desire to search for food is an instinct driven by thousands of years of evolution, which has created a small mammal capable of thriving in almost any environment, eating almost any combination of available food sources. 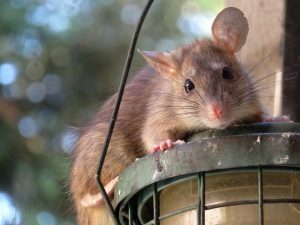 Even in a domesticated rat, this instinct remains strong, and creating an in-cage environment that encourages foraging is both enriching and supportive of natural behaviour. Scatter feeding refers to the act of spreading the rats’ daily allowance of food around the cage; hiding it under cage litter, in enrichment feeders or small cardboard boxes. When you are scatter feeding rats, there is no requirement for a food bowl other than for fresh foods, but these too can often be scattered. In many ways, the more imaginative the placement of food, the more enriching the experience of finding it can be for the rat. A rat is in some ways very human-like in its approach to food. Rats don’t just eat functionally – though in times of scarcity they will eat whatever is available – they also derive pleasure from eating. Rats have been shown to emit the same high pitched (above our natural range) pleasure noises when anticipating a delicious treat, as when being tickled and played with. They often have strong preferences in relation to food, which are based on their own, their mother’s and their colony members’ past snacking experiences. A rat can make a decision based on whether or not they know something, driven by the likelihood of getting a really desirable (high-value) food reward. However, their overwhelming pattern of feeding behaviour – whether wild or domesticated – is foraging and sampling. A good chunk of their time is spent looking for food and then sampling anything unknown, in small amounts. This is done in order to establish physiological consequences – is the food safe? Desirable and undesirable food preferences can also be learned as an infant and weanling from the mother, and throughout life from other group members Rats in a colony will avoid the food that a scouting rat smells of, should that rat get sick. Scatter feeding rats – why? Imagine for a moment that you are a rat. You are designed to forage and have learned that some foods are both delicious and safe. Imagine your joy when digging about in one corner of your environment, you discover a really tasty morsel. Scatter feeding rats, not only relieves the boredom that can arise from in-cage living, but it provides for the expression of natural behaviours (such as searching, digging, problem solving, foraging and sampling). Add to this the enrichment of the emotional life of the rat and it’s clear that from the rat’s perspective, this is a preferable way to feed. Happily, there are also real advantages for us humans, when it comes to managing the different needs of individual rats within one cage group. Managing the nutrition of a number of rats within a colony hierarchy, when feeding from a bowl, can be difficult. At best, there can be wide discrepancies in the rats’ weights, and at worse, a very low ranking rat can be bullied into not eating enough to maintain his health and well-being. Scatter feeding rats helps to balance out the needs of each individual. A greedy rat can no longer hog the food bowl, and a dominant rat – distracted by his own search for the ‘best bits’ – is more likely to leave a low ranking rat in peace to feed. In the process of scatter feeding rats, food is distributed around the cage, on different levels and to some extent, hidden in more challenging places. With a little planning, it is easy to offer growing kittens food that larger adults cannot easily reach or gain access to. Scatter feeding rats, also helps to make food last, especially where the rats have to work to access the food. This is preferable to a group of rats descending on a bowl at feeding time and leaving only scraps within a matter of minutes. Stashing food is a natural rat behaviour and scatter feeding allows this to happen without a rat jeopardizing their share of the food. When competing around a food bowl, an efficient feeder will remain at the bowl and not leave to stash, thus consuming a larger proportion of the available food than a rat who leaves to stash. Rats who are scatter fed exercise their minds and bodies in their search for food around the cage. This is one reason why it is a good idea to be imaginative, rather than just placing the food in the same area every day. This daily forage for food aids metal and physical fitness and well-being. 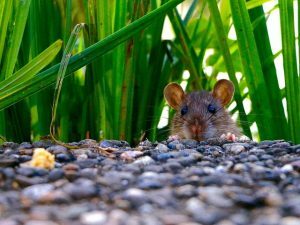 Scatter feeding rats – how? At its simplest, scatter feeding is taking the food you would normally place into the food dish each day and spreading it around the cage. The more effort you take about making food accessibility a challenge, the better! Only very old and sick rats need food to be readily available, and while these rats will still usually enjoy a rummage in the cage litter for a tasty morsel, their nutrition should be offered in a bowl for the main part. Trust your rats to do what they have evolved to do. Forage. Caged rats can become lazy, but that doesn’t mean that they can’t revert to foraging if the opportunity is presented to them. Don’t be tempted to overfeed in case your rats don’t find every piece of food. This will lead to selective feeding (eating only the most preferred foods), wastage and the rats becoming overweight. When scatter feeding rats, your aim is to find very little uneaten food around the cage when you come to clean out. Monitoring this waste food alongside the condition and weight of your rats (visually), will help you to get the amounts right. When you feed fresh food (unless your rats are on an entirely fresh food diet), only give about a dessert spoonful, per rat, per day and remove any uneaten fresh food after 12 – 24 hours depending on the ambient temperature. Dot Paul, University of Georgia. “Rats Capable Of Reflecting On Mental Processes.” ScienceDaily. ScienceDaily, 9 March 2007. Brenes JC, Schwarting RK. Physiol Behav. 2015 Oct 1;149:107-18. doi: 10.1016/j.physbeh.2015.05.012. Epub 2015 May 17. Individual differences in anticipatory activity to food rewards predict cue-induced appetitive 50-kHz calls in rats. I’ve put together my answers to some of the most frequently asked questions about feeding pet rats. Find out whether fresh food should be included in your rat diet, what time of day to feed, whether pellets are a good idea and so much more. 1. How much should I feed my rats? This is a little tricky, because it’s a bit like saying “how much should I eat?” That depends on who “I” am – my age, my height, my build and how fat I am already. Many people feel that different breeding lines of rats may also have different requirements, so asking your breeder is a good place to start. There are 2 ways of estimating how much dry food to give a rat. One is based on the weight of the food and the other is just a simple volume measure. The really useful thing about a rat is that by the time he is ready to live in his new home (about 6 to 8 weeks) he is also growing really quickly, so he tends to eat approximately the same amount as he will eat as a fully grown rat. This winkle comes inside a fun toy! great enrichment. So each rat will eat between 12 and 20g of dry mix a day unless you are giving a lot of fresh carbohydrate and protein; then you will need to reduce the amount. Vegetables can be fed as extra. As a small, human female I also find that one handful of food is roughly the correct amount for two rats. You may not be able to use handfuls (if you have bigger hands), but it’s convenient not to have to measure the food out, so try to find a small container that holds roughly the total amount of dry rat diet for your cage group. Start with around 17g per rat and see if they eat it all. You need to check under the cage litter to make sure that any small seed or grain cases are empty. Increase the amount if you feel the rat is underweight, or the tail has squarish ‘edges’ near the root. A well nourished rat has a round tail. Reduce the amount if you are throwing away a lot of actual food with the cage litter come cleaning time, or if the rat visibly looks plump. 2. How often should I feed my rats? Rat babies are often fed two or three times a day, but by the time they are homed, this is usually down to once or twice a day. Again, check with the breeder what they have been doing. If you feed your new rats twice a day, don’t continue this beyond about 10 weeks as this is when their growth slows and they will benefit from having some lean hours each day, when food is not freely available. 3. Should I feed them in the morning or evening? Preferably in the evening, and late evening is helpful. Rats will naturally be most awake in a diurnal pattern at dawn and dusk. Most rats are very active from around 5-6am for a few hours and then again from around 5-6pm. This means that if you feed in the morning when you get up (say around 7-8am), they will be eating at their most active time. If however, you feed them before you go to bed, they will have the whole evening when they are both awake and fasting and this is a healthy pattern for a rat, and helps to maintain a good weight. Don’t let it get too late though, so that they have a chance to digest their food before they are ready to sleep again. I feed around 10pm. The rats are extremely wakeful at this time and are able to forage, graze and digest, before settling to sleep for a few hours. If you really need to feed them in the morning, then try to push it back to 9 or 10am. In reality, your rats will fit in with any schedule – and so long as it’s regular, their awake periods will be predictable. 4. Is it necessary to feed fresh food as part of rat diet? A variety of fresh vegetables can be fed daily. No, it’s not strictly necessary, but it is advisable, at least a couple of times a week. Your rats will survive quite happily on a good dry mix, but our aim is to help our rats to thrive and to have a long and healthy life. The micronutrients found in fresh foods are helpful for maintaining a really robust, healthy immune system. Add to this, that rats get great pleasure from food and many types of enrichment involve fresh food, such as offering a whole boiled egg in its shell or fresh peas, still in the pod. 5. How much fresh food should I give? Green leafy vegetables are a great daily staple, the best of which – in terms of nutrient balance – are kale, broccoli, dandelion leaves and spring greens. These provide a good balance of easily digestible calcium and phosphorus, and they can be given freely. Protein and carbohydrate foods can also be fed as part of the fresh element of a rat’s diet. Growing, moulting, breeding and sick rats, all need extra protein. Giving oily fish or chicken two or three times a week will supply this, and it can be mixed into rice or any other cooked grain if extra calories are needed too. Most fatty or highly processed food should be kept to a minimum, the exceptions being oily fish, coconut and avocado. These contain very healthy and helpful fats. Other than vegetables, think about fresh food in terms of around one dessert spoon full per rat. 6. My rats seem to leave a lot of their food. Why? Almost certainly – assuming they are well enough to eat – you are feeding them too much food and/or too little variety. If they look well covered in firm muscle under the fur, then you can try simply feeding less. Try to judge the amount by giving only what you can see they are actually eating. Use a bowl for a few days until you get the amount right, but remember to check for stashes around cage. Watch their behaviour after they have been fed, and then assess how much uneaten food is in the cage 12 hours later. At this stage it should be very little; just some grains and tiny seeds, which might be less desirable for the rat. by the time you look again sround teatime, there should be almost nothing edible left. If you are feeding the right amount and they become reluctant to finish it, consider how to make the mix more interesting. Rats have a huge amount of variety in their natural diet. 7. Do I need to give my rats supplements? It really depends on how you feed them. Many generic rat and rabbit muesli feeds have supplements added. Straight grain mixes, such as those from Rat Rations, don’t have them added, so you need to do this yourself. Calcium, Copper and Vitamin D are the three main nutrients that could be lacking, even if you feed a variety of fresh foods. 8. How do I change my rats from one feed to another? This is easy, because rats thrive on variety and no real changeover period is necessary. If you wanted to mix the two feeds together for a couple of days that’s fine, but there’s really no need. A rat is an opportunistic omnivore and will try most foods, though he won’t like anything that tastes bitter. 9. What is scatter feeding? 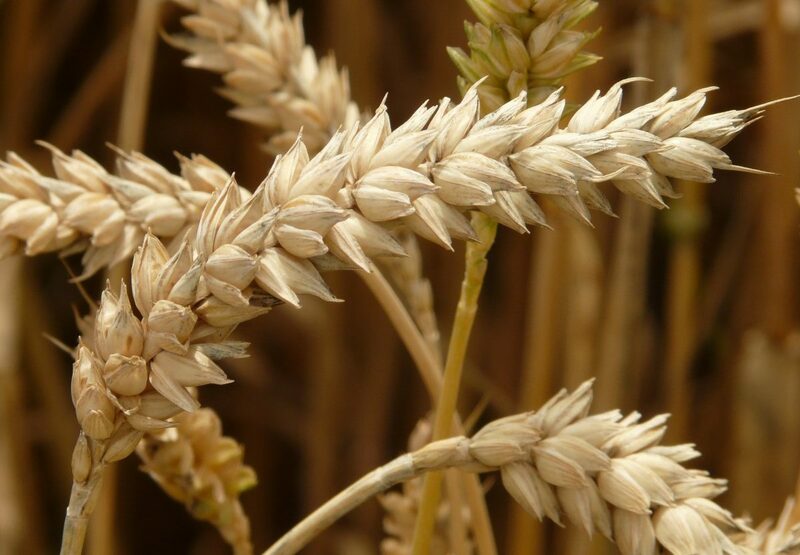 Whole raw grains are nutrient rich and challenging to retrieve from the substrate. Scatter feeding is a way of delivering food to rats that helps to stimulate their natural behaviours, such as foraging and digging. It can help with equal food distribution in a group where the rats have different needs, such as old and young, or thin and fat. A very food oriented rat will have to work much harder to feed if the food is distributed around the cage and mixed into the substrate. Scatter feeding is excellent for all but the weakest old or sick rats. It is an effortless form of enrichment. 10. Should I feed a complete rat pellet so that I am sure my rats are getting all they need? Definitely not, because rats are opportunistic omnivores and will eat almost anything edible they come across. Rat diet should be full of variety and plenty of raw food, which is packed with micronutrients that pellets simply cannot match. Indeed, a rat’s attitude to food and the pleasure he derives from it is similar to ours. Pellets also deprive rats of the enrichment of various smells, textures and tastes, not to mention finding a tasty morsel buried in the substrate. A varied rat diet is more likely to give your rat “all that they need” (which is more than just nutrition), than pellets ever will. Some people add pellets to a richly varied dry mix. Subscribe now to receive our e-newsletter, squished full of rattie news, views and information.